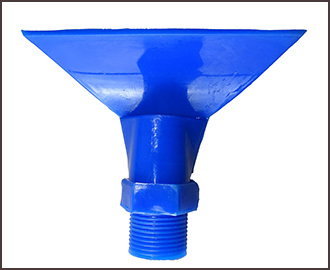 Poly Spray Nozzles are used specifically for practical screening applications. 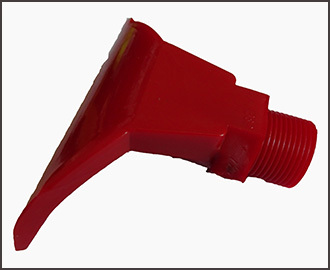 They are tough, corrosion and abrasion resistant and will not block easily. 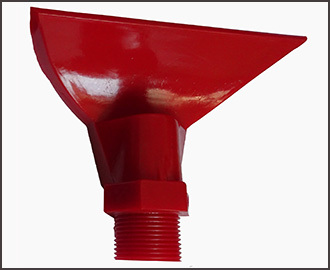 The fan shapped spray forms a curtain of water that distributes a high volume of water at 120 degrees evenly for a variety of applications over the production or screening surface. However, Kosin recommends installation of a protective strainer with approximately 1.0 mm aperture mesh at the water supply inlet. 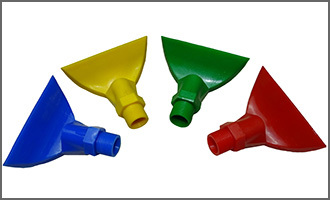 These rugged and reliable polyurethane spray nozzles will stay firmly fixed to your spray bar.